In this note, we examine Bosch's NEI-30 Dinion Infrared Imager series. This is a replacement for the long standing Extreme CCTV / Bosch EX30 - the black bodied all in one camera / IR illuminator quite popular for night time professional surveillance. We examine the new features, compare it to the previous series and contrast to competitive options in the market. Improved Camera performance - the Dinion LTC 498 camera with H.264 is now used that Bosch says has superior WDR and low light performance to the MPEG-4 camera in the old EX30. Additionally, the new unit is rated for IP67 / NEMA6 while the old was rated for NEMA4. Improved IR distance - the new NEI-30 is rated for a maximum of 160 Meters while the old EX30 was rated for only 100 meters. Usability / Optimization enhancements - A number of significant features have been added to help make it easier to tune the cameras / illuminator's performance for each scene. Price - The new NEI30IP has an MSRP of $4400 USD while the old EX30Ip had an MSRP of $3388 USD - an approximately $1000 MSRP increase. In practical / end user terms, the difference in price is likely to be $500 - $700. Historically the EX30IP online pricing was ~$2,000 USD. We expect the NEI-30IP pricing is ~$2,500 USD. In the new NEI30, the installer removes a small lid in the back of the camera and uses a screwdriver to adjust the focus. In the EX30, the installer needed to open the housing and reach inside to manually adjust the IR illuminator's intensity. Additionally, the NEI30 allows for simple adjustment of the IR illuminator up or down to better match the topography of the scene being covered. A diffuser option is also provided to adjust the coverage area and range of the IR illuminator. 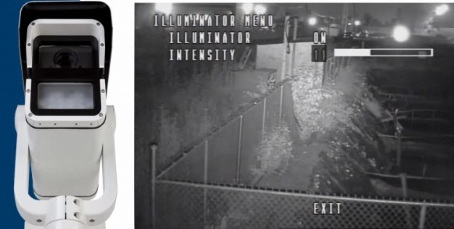 Without the diffuser, the IR illuminator has a 10 degree angle for a tight beam to cover areas like fencelines. Sliding the diffuser in broadens the illuminator coverage angle to 40 degrees to cover wider areas such as parking lots. 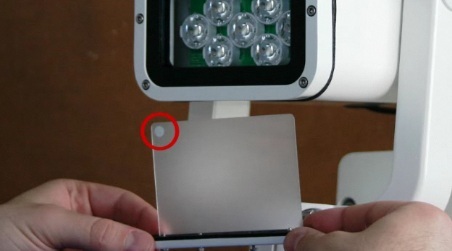 'Regular' cameras with built in IR illumination. In the last year, quite a number of major manufacturers have launched IP cameras with built-in IR illuminators including Sony, Arecont, Vivotek. Even Axis has an add on IR module for their domes. Plus, Bosch released less expensive SMB IR integrated cameras. The major advantage of these cameras is lower price - generally $1000 or less online. The major disadvantages include much shorter range and less flexibility in optimizing the illumination. 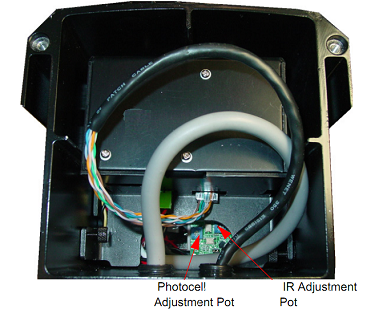 Adding a stand-alone IR illuminator to a regular IP camera such as those from Bosch, Iluminar, Raytec, etc. This lets you choose any camera and a specific IR illuminator you want. Major advantages include choosing a brand/model you generally prefer and lower cost. 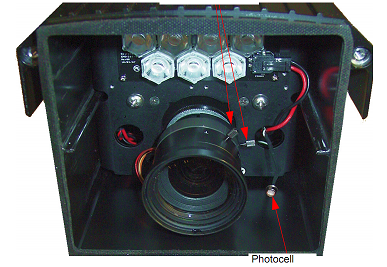 An add on illuminator, depending on specific range and beamwidth can vary between $200 and $1000. The combined cost of the camera and separate illuminator are likely to be $500 - $1000 less than the NEI30. On the other hand, this increases installation time and risk that the scene is not illuminated properly. The NEI30 certainly increases Bosch's advantages in overall illumination and optimization - making it attractive for high end security applications. On the other hand, the increase in price combined with the recent emergence of numerous low cost options will make it harder for many to justify the premium price differential of the NEI30. 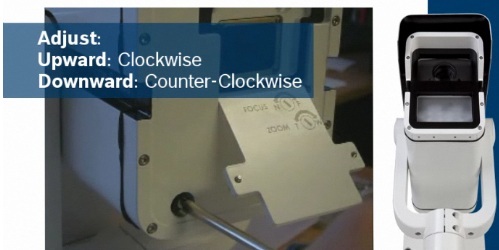 The video embedded below is from Bosch and provide a 5 minutes video overview of the NEI30s key features.